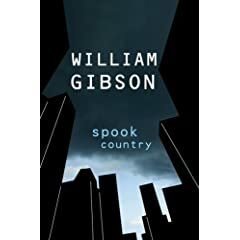 Taking place in the same world as his last novel, Pattern Recognition, William Gibson's newest book, Spook Country, is a thriller. Three intertwined storylines involve spies, mysterious cargo containers, and Gibson's prose is broken into short chapters that speed the narrative. In the end though, the pieces are greater than the whole. In spots, the book is absorbing and often compelling, but in the end I was glad to finish Spook Country and move on to book #39. My next book is the Exactly, by the students at 826 Valencia.